What is Mystery Babylon? Who is the Man of Sin, and will he come from a European Union of nations or an Islamic one? These are just two of the questions answered in Revelation 2.0, a Bible study based on the themes of the feasts the Lord. The seven feasts provide a thematic roadmap through the book of Revelation, enabling us to view it as a sweeping dramatic production that actually makes sense. Contrary to popular belief, the antichrist will rise to global power from an axis of three Middle Eastern countries, promising an era of Islamic peace for mankind. However, both the Man of Sin and the false prophet will be possessed by demonic spirits who will force the nations to convert to Islam as the world’s only religion. Their rule will be marked by attacks against Israel and persecution of the saints. The Lord will give grace to his saints and bring Israel to repentance, preparing her to recognize her Savior when he comes. Revelation 2.0 helps us understand God’s call to repentance and spiritual maturity in preparation for Jesus’ return. As Caliph, the Mahdi will be an unstoppable force, leading the way to victory in jihad over the world’s infidels. Muslims worldwide will be united under the crescent moon. The Mahdi will attain global peace, in much the same manner that Islam achieved peace throughout the Mediterranean starting in the seventh century, through the conquest of Arab, Persian, and Christian lands. Anyone who does not convert to Islam will be put to death by the sword. It does not require a great deal of insight to identify the Mahdi as the Man of Sin, the first beast of Revelation who establishes a world kingdom and initiates the persecution of the saints. This persecution, along with his attempt to impose Shari’a law and the Muslim calendar on conquered lands, will fulfill the prophecy of Daniel 7: 24-25. 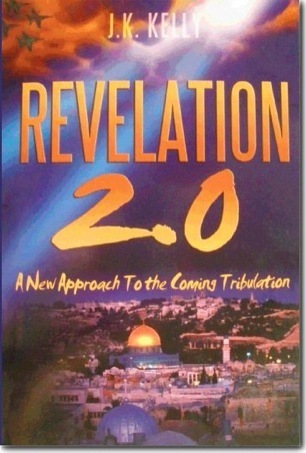 Click on book to begin download of Revelation 2.0, a Bible study on the Book of Revelation, a 7.3 Mb pdf. File is virus-free.